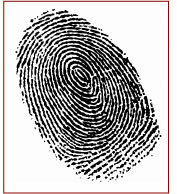 Liberty Screening Services acts as a third-party administrator for clients who request fingerprinting services. Liberty’s national partner for the digital fingerprinting is IdentoGo..
As a strategic channel partner, Liberty offers digital fingerprinting for clients required to obtain both state and federal background checks performed via digital fingerprinting. IdentoGo offers the most convenient, fast and accurate live scan fingerprinting services. Live scan fingerprinting is the process of capturing fingerprints electronically. With live scan fingerprinting, there is no ink or card. Your fingerprints are "rolled" across a glass plate and scanned. It is faster, cleaner and more accurate than the old ink and roll method. IdentoGo offers mobile fingerprinting as well as many locations across the United States.For a specific listing of their locations, directions and hours to each facility, please visit their website at www.identogo.com.